Grantown-on-Spey, 스코틀랜드의 아든벡 벙크하우스 | 호스텔월드에서 예약하세요. Between 2&4 weeks:65% of total booking cost will be recovered. Less than 2 weeks:Full booking costs will be recovered. Booking costs are total amount for booking less 10% retained by Hostelworld. If we are forced to make changes, Ardenbeg will do its utmost to provide all of the arrangements and activities that have been confirmed, but we must reserve the right to alter or cancel any arrangements if operational, weather or other considerations so dictate. or damage is due to our negligence or failure to carry out our responsibility. Please note that due to the nature of accommodation, Ardenbeg is not necessarily the place to bring expensive watches, jewellery or other precious items, none of which are covered by any insurance provided by Ardenbeg. Equipment hired from Ardenbeg becomes the temporary responsibility of the Hirer. The hirer is to ensure that every possible attempt is made to prevent the equipment from damage, Ardenbeg acknowledges that	a certain amount of wear and tear is associated with outdoor activities equipment and its use, however,	repair or replacement charges will be raised in light of obvious neglect. You may wish to bring a sleeping bag although bedding is provided. If you are attending during the winter, bring enough warm clothes to keep warm outside, in 1996 the temperature outside hit a record - 25oC!! want to be the first to hear about it. Please speak to us while you are here or write within 28 days enclosing full details with reference to the complaint and we will do our utmost to find a solution. Stag/hen groups need to contact Ardenbeg on booking to let us know they are in a stag/hen party. Stag/hen parties will nominate one person to take responsiblity for the group. 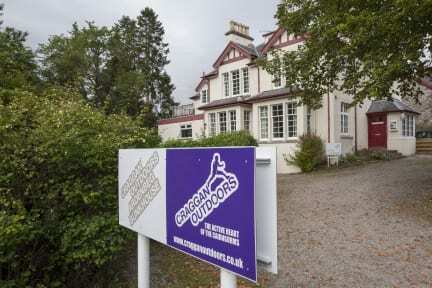 Ardenbeg Bunkhouse – a part of the award-winning Craggan Outdoors activity centre – offers good value accommodation for up to 23 people on a quiet road in Grantown-on-Spey, the historic capital of Strathspey in the Cairngorms National Park, just 15 minutes from Aviemore. Accommodation is in private rooms of four beds (two standard bunks), a five bed room (two standard bunks & a single bed), a six bed room (one double bunk & one standard bunk), & eight beds (four standard bunks), each with private bathroom facilities. The rooms are split across an upper and lower bunkhouse, each with separate access. The upper bunkhouse sleeps ten people across the four & six bed rooms, has two bathrooms & a well-equipped kitchen / dining / common room area. 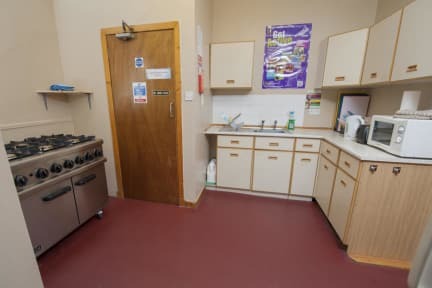 The lower bunkhouse sleeps thirteen people across the five & eight bed rooms, & also has two bathrooms & a well equipped kitchen / dining / common room, as well as a washing & drying room with dehumidifier. Outside is an enclosed garden, with children's play area & charcoal BBQ which is available for use by all occupants. Accordingly Ardenbeg can be booked by bed, by room, by upper or lower bunkhouse, or the whole bunkhouse for larger groups. Bedding is included in our rates – but bring your own towels & toiletries – as is free WIFI, and we also offer winter walking / climbing equipment hire on site. A wide range of outdoor activities is also available to book alongside the accommodation.